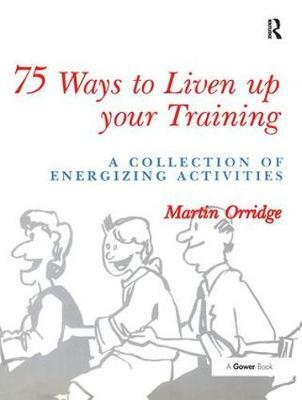 Most of the activities in Martin Orridge's book require little in the way of either expertise or equipment. Yet they provide a powerful way of stimulating creativity, helping people to enjoy learning, or simply injecting new momentum into the training process. Each activity is presented under a standard set of headings, including a brief description, a statement of purpose, likely duration, a note of any materials required and detailed instructions for running the event. In addition there are suggestions for debriefing and possible variations. To help users to select the most appropriate activities they are arranged in the book by type or process. There are exercises for individuals, pairs and large groups and they range from icebreakers to closing events. Trainers, managers, team leaders and anyone responsible for developing people will find this volume a rich store-house of ideas.